For the past three years I’ve lived in cities, in Scotland and France, in order to attend university. But of course, from time to time I visit home, at weekends and during holidays, as I did so this week. My main priority is to see my family, of course, but I grew up on a farm in the country, and this has various other charms for me too. The contrasts between home and the city are vast as well, as I’ve noticed when travelling between the two. I took it for granted growing up I think, but going home now makes me realise how lucky I was to live in such a place. I’ve shared plenty of photos here, of places around the house and out in the fields, at various times of year. I spent my childhood paddling in rivers, play-acting in our playhouse, feeding lambs, walking dogs, sledging down hills and adventuring in the forest. Not every child is as lucky as I was, and I now appreciate where I live. I find it incredibly peaceful, a far cry and pleasant break from the city. We also have a strong community, between the farmers and various others who live in our valley. 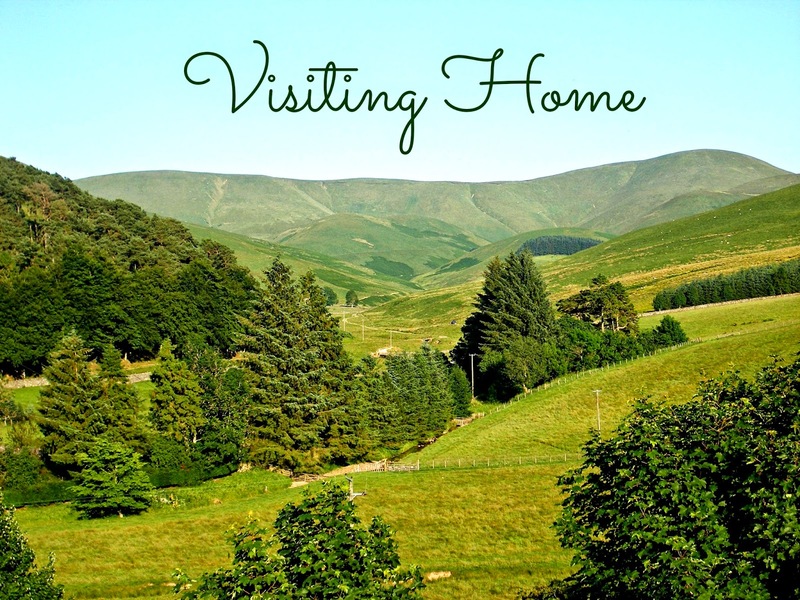 Our homes are rather spread out, but we do all come together regularly, especially for events like the agricultural village show, the summer barbecue and the Christmas church service. This is certainly something the city lacks, where people are just anonymous faces lost in the crowds. City life does have its merits of course - it’s far easier having everything close by, rather than driving into town all the time. And the cities has so many amenities that I never had access to, or was very far from, while living at home. An example that springs to mind was having to stop ballet lessons when I was young because the teacher moved away and there was no one else in our small town who taught it. We also had to travel far to go shopping or to the cinema, things I now take for granted in the city, and of course, there was next to no night life to speak of. And of course, it was necessary to move here for university, which I’m lucky enough to be able to attend. At the age I am in life, city living is certainly what suits me the most, and what I will continue to need for some time, as I graduate and begin job hunting - opportunities are scarce back home, and non-existent in the sectors I’m hoping to be in. However, I do feel very privileged to be able to enjoy both worlds, through my visits home, which I look forward to each time. You're so lucky to call such a beautiful place home! :) I grew up in the outskirts of London and then moved to central Bristol for university, but I've often felt like I'd much prefer to live in the countryside- perhaps in the future? Thank you so much! Yes, I've realised how lucky I am since moving to the city, although city life definitely has its merits too! Hopefully you'll get to try country life on day though!